For all these years, I have resisted blocking my work. Mostly out of laziness, I think. But not this time! 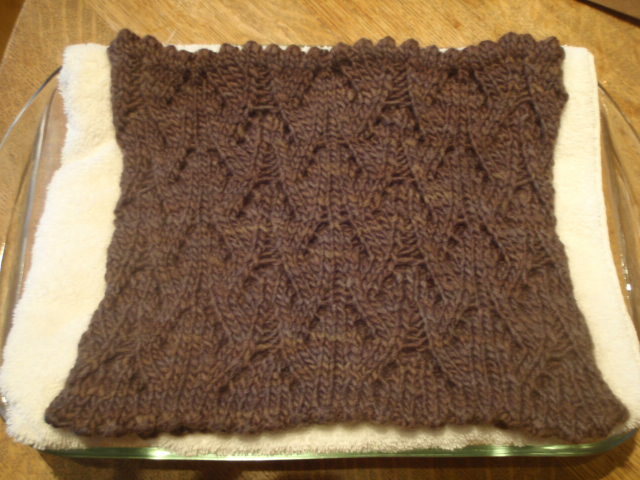 I just finished designing this lovely little lacy cowl, and I decided that today was the day I was going to finally try blocking something. I followed instructions I found in the article To Block or Not to Block by Jessica Fenlon Thomas on knitty.com. I’m hoping that the edges will continue to lay down once it’s dried out. 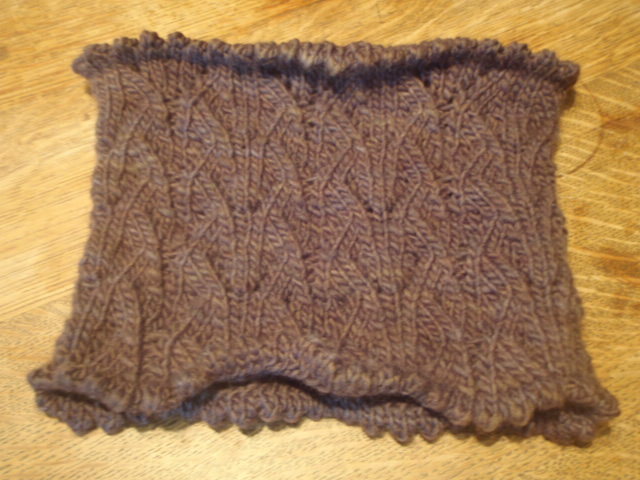 And I can already see how it makes the lace stitch stand out. Now we just wait a day or two until it dries!